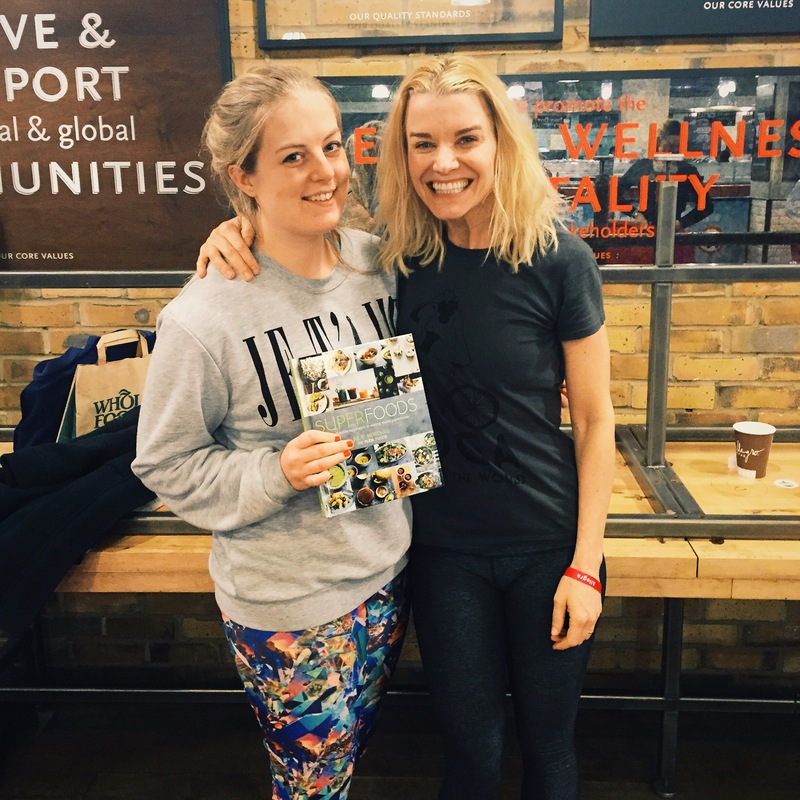 I had the pleasure of attending ‘Superfood Sunday’ recently with triyoga teacher and nutritionist, Julie Montagu to celebrate the release of her first book, Superfoods. 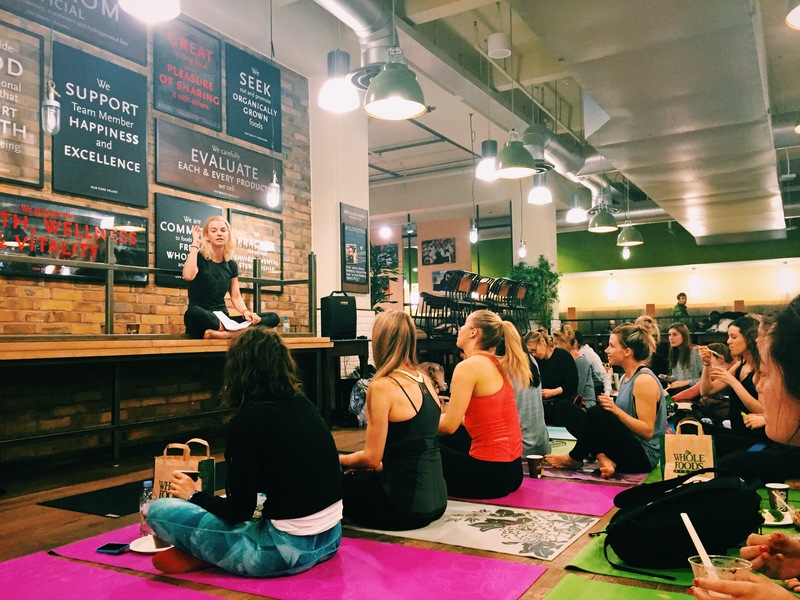 55 of us took over the food court at Whole Foods Market in Kensington, as Julie led us through a dynamic vinyasa flow class that did my body a whole lot of good after the 10k run the day before. We were each treated to a Louise Hay affirmation card at the beginning of the class, which helped set a positive intention to focus on for the session. After an invigorating hour-long sequence (despite some slippy mat issues – nothing more frustrating than when your hands won’t stay put during down dog!) we were treated to a delicious breakfast including two of the recipes from Julie’s new book – Matcha Oat Truffles and Chocolate Chia Pudding. I’m sure you can guess which was my favourite! For someone who would previously only eat Coco Pops for breakfast, having a superfood-enhanced, sugar-free variation is a sure fire winner for me. These are part of the cruciferous veg family (cauliflower, broccoli etc) that give you plenty of phytonutrients and make a delicious salad when shredded up. Sprouts are not just for Christmas, people! Though I kind of wish they were. Sorry sprouts! Contains much less caffeine than coffee or tea, and is great for keeping your metabolism going. All hail the mighty avocado! This green dream gives you plenty of healthy fats to keep you fuller for longer, and is said to have anti-ageing properties. I have a slight obsession with avocado and probably eat a baby or half a large one every single day. This furry fruit has double the amount of vitamin C as an orange. So next time you have a cold, give kiwi a try! It also contains plenty of fibre so is a great addition to your daily diet. I don’t need to reel off all the reasons why these foods are good for you, as you’re probably sick to death of reading about kale by now! There was plenty more useful information on nutrition that Julie shared with us, but I would say my main takeaway was her message about Adding in the good to naturally crowd out the bad. As in, if you keep adding healthy, unprocessed foods to your diet you will eventually stop craving the rubbish. But a little bit of what we fancy is no bad thing, and you should never beat yourself up over a heavy night out, or the occasional takeaway binge. Just keep doing the best you can, and by showing love and attention to yourself you will definitely see results. 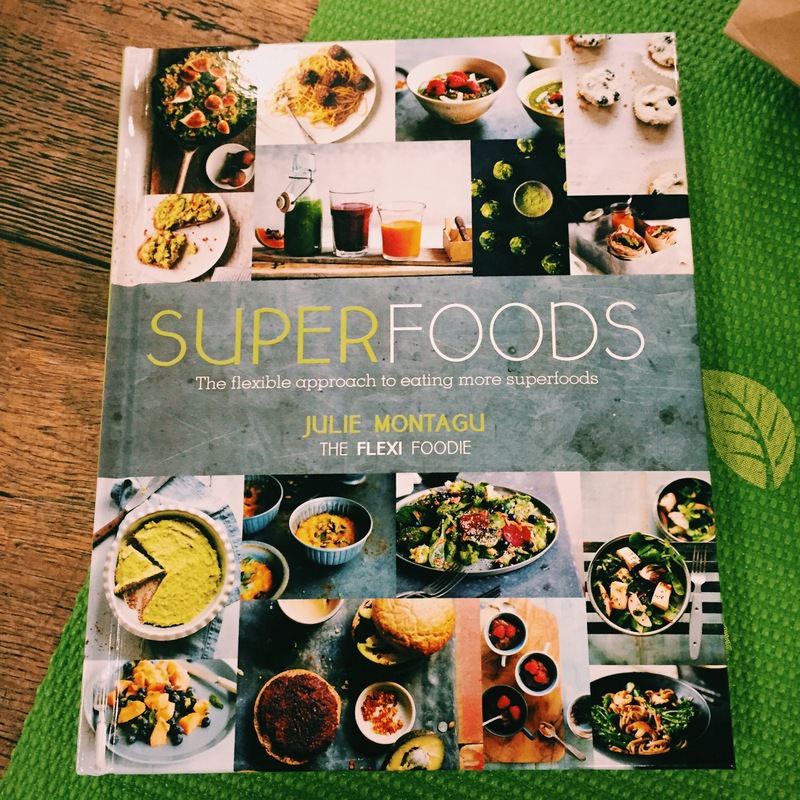 I’m already in love with Julie’s cookbook, and can’t wait to try out some of the recipes, including the Kale, Fig and Walnut Risotto (full recipe here) and the Beetroot and Quinoa Burgers, along with some seriously tasty desserts. See ya in the kitchen!